A.Choose your seats from the seatmap. 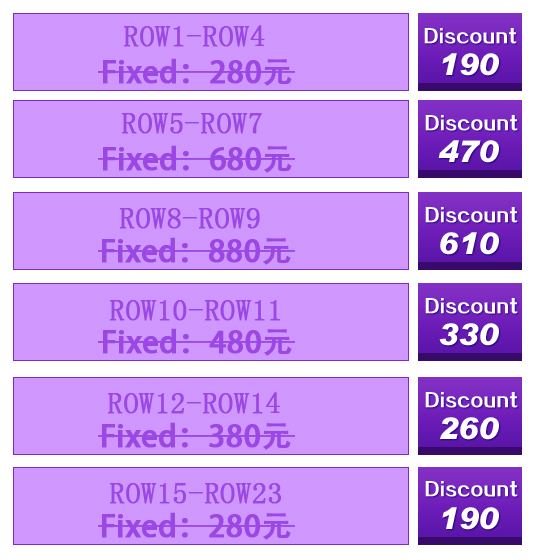 C.Pick up your tickets at chaoyang theatre ticket office and show your reservation code , name ,e-mail or phone number. D.You can pay cash or credit card. 3. Pick up tickets at anytime after you order. 4. No need to look for reception site personnel, directly to the ticket office to collect the tickets and show your reservation number or your name.your can pay cash or credit card . “Millennial Melody of Drum Music”selects the most classical performance by the Shanxi Jiang Zhou Drum Troupe, figuring the closest style from its origins, but adding the light, sound and muti-media system of modern technology, a blowing art performance that may well shiver the percussions world.